Moving day approaches. Where ever you're moving to, here’s the reality: moving stinks. Which is why we’ve provided this list of 19 hacks that will make moving day easier and better! Moving hack #1: Treat loading the truck like a game of Tetris. Figuring out how to efficiently place your items in the moving truck can be a bit like playing the most addicting Nintendo puzzle game of all time, minus the catchy tunes. Here’s a fancy infographic that proves it. Moving hack #2: Follow the wisdom of movers who’ve come before you. Video games aren’t your thing? Then follow the time-tested advice of moving professionals everywhere. This handy diagram shows the science behind loading that moving truck. Moving hack #3: Miscount boxes (aim high). Nothing worse than running out of boxes the night before moving! Who needs the last-minute stress?! Reference this chart, get a couple extras “just in case,” and avoid the late-night scramble for cardboard. Moving hack #4: Shamelessly rock the moving-day gadgets. You know the weird contraptions you see professional movers using? Well, there’s a reason they use them, and they may be worth the slight rental fee from the truck rental company. After all, professional movers spend a lot of time doing this sort of thing. I bet they’re onto something. Dollies, moving straps, and hand trucks: tools that make moving faster, safer, and easier. Use them! Moving hack #5: Color-code your boxes with labels or packing tape. Straightforward enough, right? Ditch the sharpie (which you’ll inevitably set down and lose somewhere) and the time-consuming task of writing out the room names on every box. Save the taping of boxes until the end, tape in batches using the designated color for each room, and you’re set! Moving hack #6: Pack your entire closet at once. Don’t even think about taking all those clothes off their hangers, neatly folding them, and placing them in your suitcases. Instead, gather them on the hangers in garbage bags and transport them in neat little stacks. Simple. Moving hack #7: Use suitcases for your heaviest items, like books. Here’s the perfect follow-up to our last hack, and a much better use for your suitcases than clothing that’s already ready for moving anyway. Moving hack #8: Call in the troops for help, but have a game plan. Nobody likes that person who asks for help moving, but once help arrives, nothing’s ready for the moving truck. Have everything boxed up and ready to go by the time your friends show up. Here’s the recipe for really making the help happy: 1) Food (and drink!) 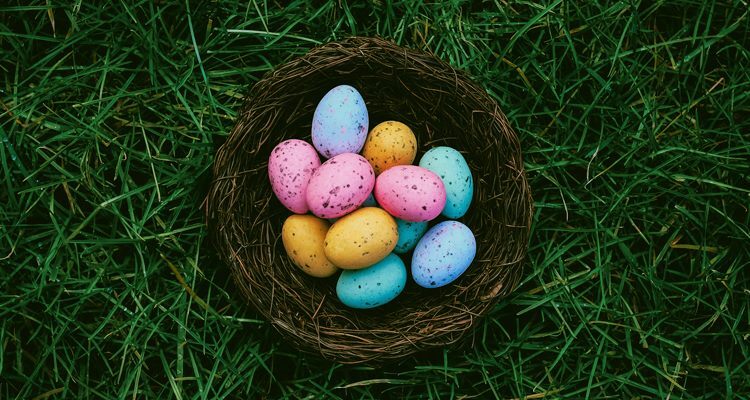 2) clearly-labeled boxes and direct instructions 3) small blocks of time set aside for friend help—don’t expect them to be there all day and 4) an act or gift that demonstrates appreciation. For a free solution, consider this “coupon book” where friends can redeem things like rides to the airport, help with their own moves, or pet/baby-sitting. Moving hack #9: Sell everything you own. Okay, so this is a pretty extreme hack for most people. But seriously, have you considered the idea of selling or donating most of what’s making your move such a pain? Moving hack #10: Look into your crystal ball and purge! Do you have a move ahead of you – whether to next year’s apartment or out of town for a job transfer? Picture yourself moving the same items all over again. If you’re not going to use it, PITCH IT! Or, as you’re packing, start a pile of items you’d like to donate. Many places will pick up furniture and other items for you! 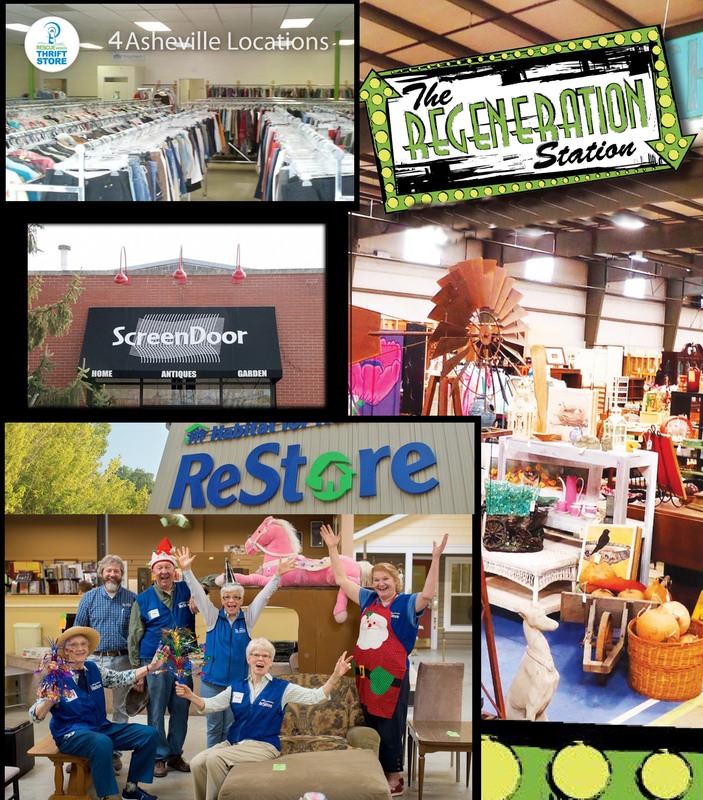 Regeneration Station, ScreenDoor, Second Chances Thrift Store, & Asheville Habitat ReStore are some other great local Asheville favorites! Moving hack #11: Scope out the new restaurant delivery options. When moving, few things are as universal as the desire to devour some delivery grub for dinner the first night in your new place. 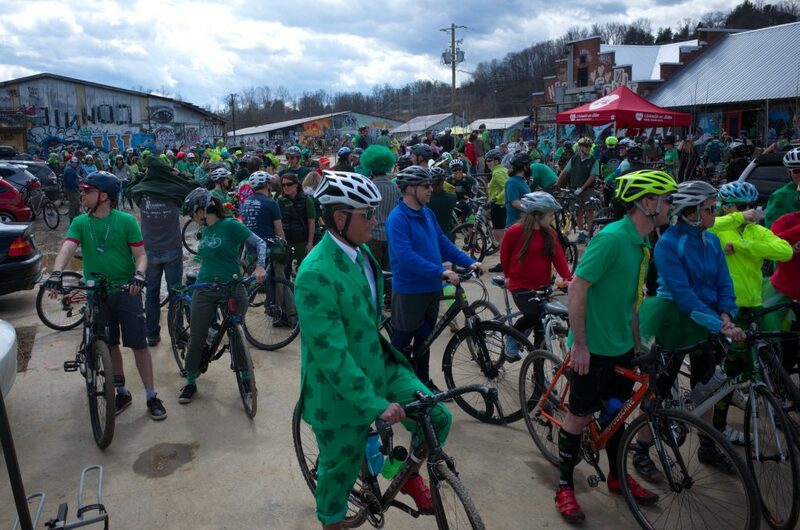 Pick out the pizza or Chinese or Vegan Local Asheville delivery joint in advance so you’re ready to eat and relax. 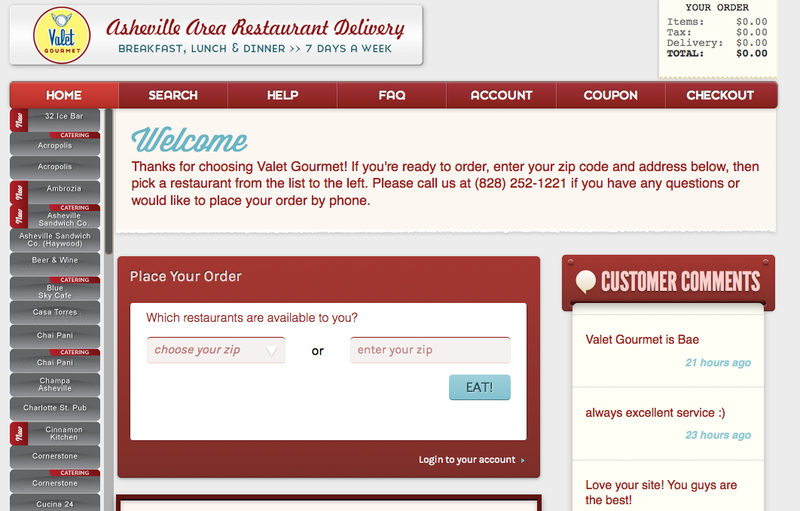 Check out www.grubhub.com/asheville-nc and www.valetgourmet.com for local favorites! Moving hack #12: Rent boxes. There are lots of companies that rent plastic moving boxes. They deliver the boxes to your door, you pack them up and move them, and when you're done they come pick up the boxes. It's good for the environment, and saves you the hassle of running all over town to find moving boxes. Moving hack #13: The toolbox should be the last thing you pack and the first you unload. It’s how you’ll guarantee you have a hammer to open that bottle of wine, after all! Moving hack #14: Determine your furniture layout in advance. Wouldn’t it be nice to carry the heavy items directly to their new home in the new place? Check out these online tools (many free!) which make configuring your furniture a breeze. It’s like playing The Sims. Except, not a total waste of time. Moving hack #15: Get creative when packing your dishes. Who the heck reads the newspaper anymore? Odds are you don’t have a ton of it lying around to wrap around your plates. Styrofoam is your friend. Moving hack #17: Create permanent solutions to ongoing organizational nightmares. This is just an example, but as you’re preparing to pack, think about the items that have “driven you nuts” for as long as you can remember. Explore Pinterest to see if there’s a solution; there probably is. Cords a heaping, tangled mess? Keep toilet paper rolls from a month before or cut the paper towel rolls in half or even better Christmas wrapping paper rolls cut to size. Moving hack #18: Prepare thoroughly for your move! Get organized, declutter first, & don’t garage sale your junk. Donate or recycle as much as you can. Don’t buy your boxes. Create your own packing protection. Avoid using newspaper when packing clothes. 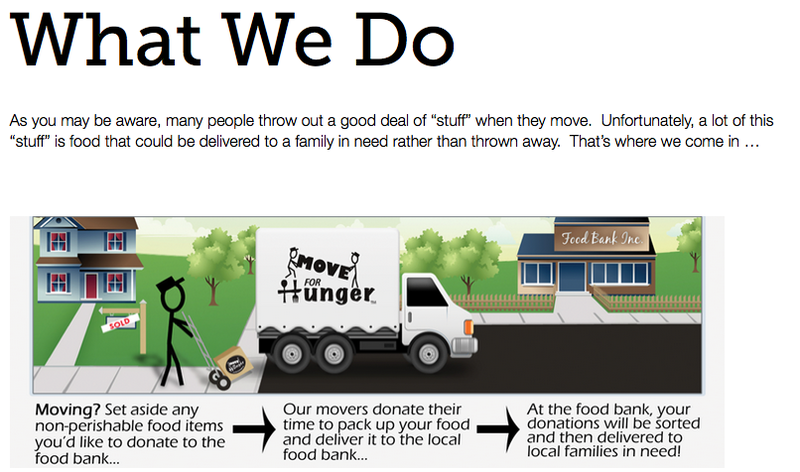 Eat up your remaining food supply and/or contact Move for Hunger! If your goal is to move for as little money as possible, follow this list. Moving hack #19: Say “to heck with doing it myself,” and use a service like unpakt or find a mover through Move for Hunger or ask your REALTOR! We haven’t extensively tested these unique online moving company comparison tools, but they definitely look promising. Check it out and let us know how it goes!